Coming from the A5, please take exit no. 27 Darmstadt Eberstadt. Turn right onto the B 426 and follow the ring road about 3.5 km to Mühltal. Now turn right into the new industrial park Ruckelshausen and follow the street. 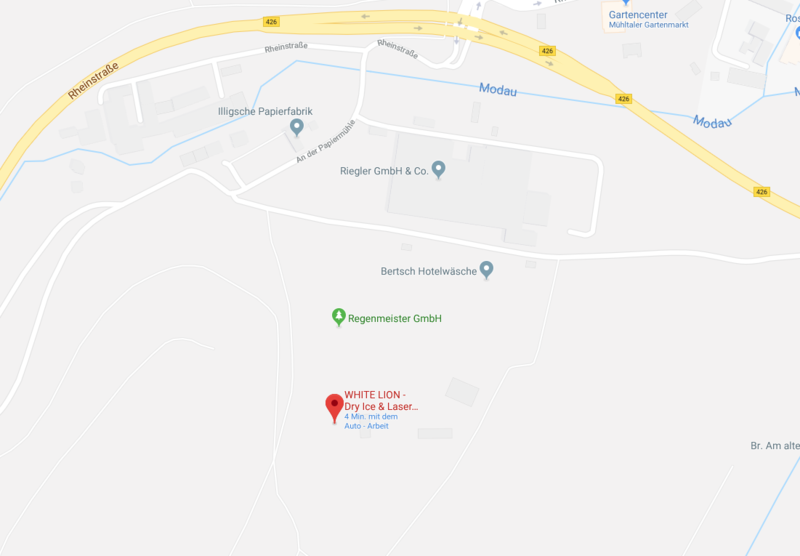 On the right side you will find our Competence Center White Lion. Please enter “An der Papiermühle, 64367 Mühltal” in your navigation system. We are pleased to offer you our shuttle service and pick you up from Darmstadt Main Station or Frankfurt Airport.